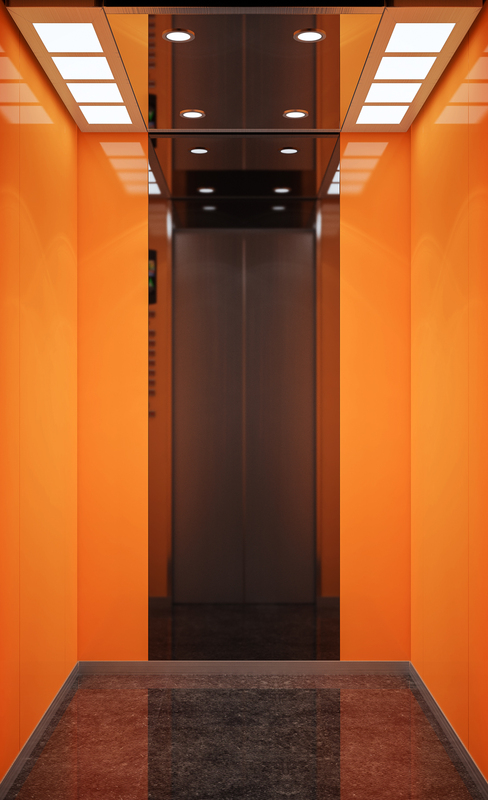 When most people think of elevator types, they think of passenger elevators that transport passengers from floor to floor. 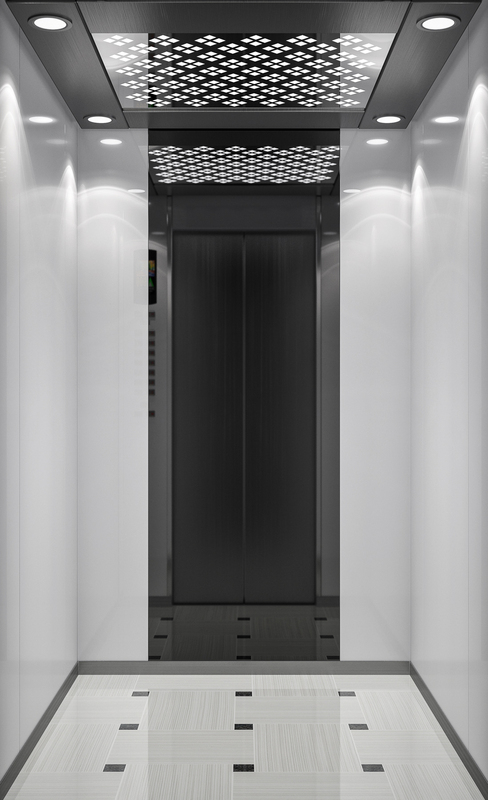 These elevators can carry additional features, too, including loudspeakers to play music or announcements, audio or visual advertising, or television displays. 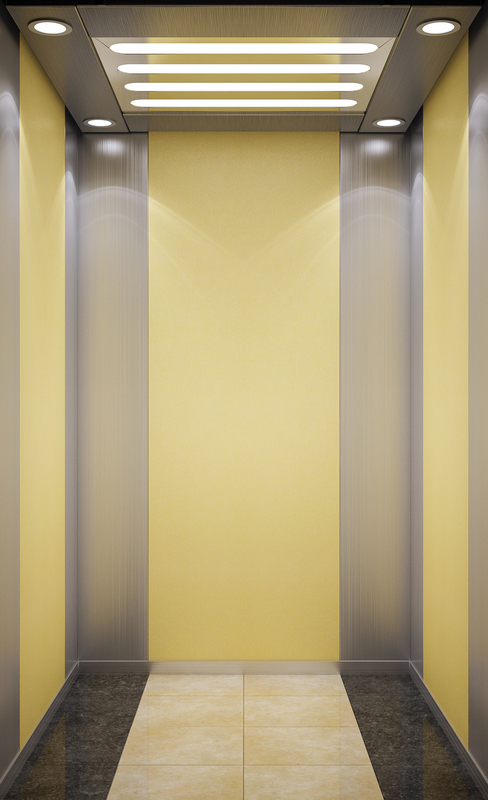 Express elevators are a popular variation in high-rise buildings: They run from the ground floor to a sky lobby, skipping the floors in between. Machine room less elevators do not have a fixed machine room on the top of the hoistway, instead the traction hoisting machine is installed either on the top side wall of the hoistway or on the bottom of the hoistway. The motor is installed using a permanent magnet which "sticks" the motor permanently and work with Variable Voltage Variable Frequency (VVVF) drive. Some of the hoisting machines are using gearless synchronous motors instead conventional induction motors. This design eliminates the need of a fixed machine room and thus saves much building's space. Almost all the traction MRL elevators are gearless traction. While the hoisting motor is installed on the hoistway side wall, the main controller is installed on the top floor next to the landing doors. This controller is situated behind a locked cabinet which have to be unlocked using a key for maintenance, repair or emergency purposes. 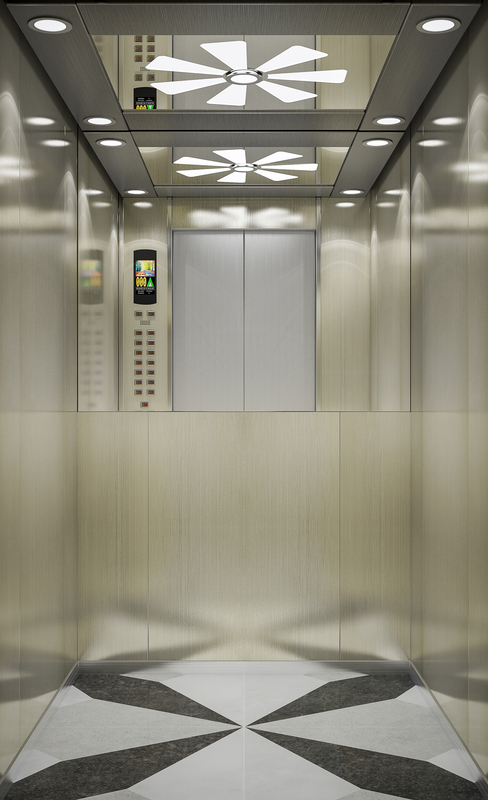 Most elevators have their controller installed on the top floor but fewer elevators have their controller installed on the bottom-most floor. Some elevators (like those in Japan) may have the hoisting motor located on the bottom of the elevator shaft put, thus it is called as "bottom drive MRL" elevator. 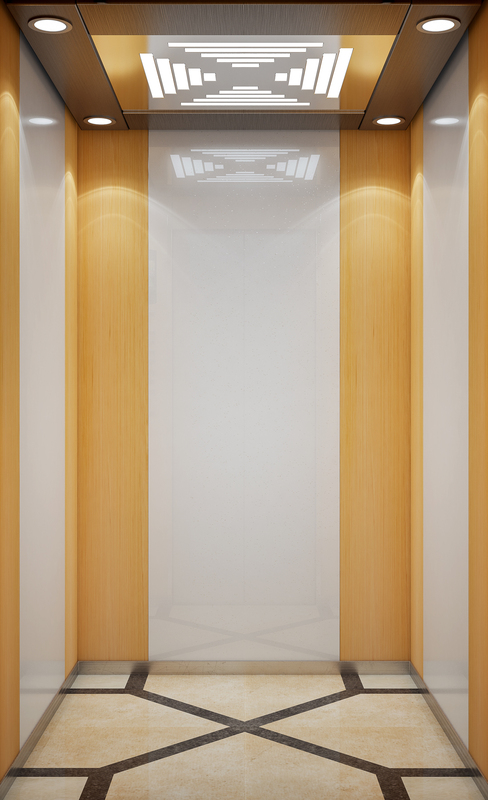 Some elevators (like Otis and Schindler) have the controller cabinet installed within the door frame instead on the wall to save space. Like normal traction elevators, machine room less elevators uses the conventional steel cord ropes used as the hoisting cables. Some elevator brands (such as Otis and Schindler) are using flat steel rope belts instead of conventional ropes. Manufacturers using these technology claimed that with flat steel belt ropes, it saves much space on the hoistway and to allow a minimum size of the hoisting sheave. With flat steel belts also allows 30% lighter than conventional steel ropes. - Saves building space, as it doesn't require space for a machine room. - Saves building electricity for up to 70%. - Uses no oil (thus eliminating the risk of fire). 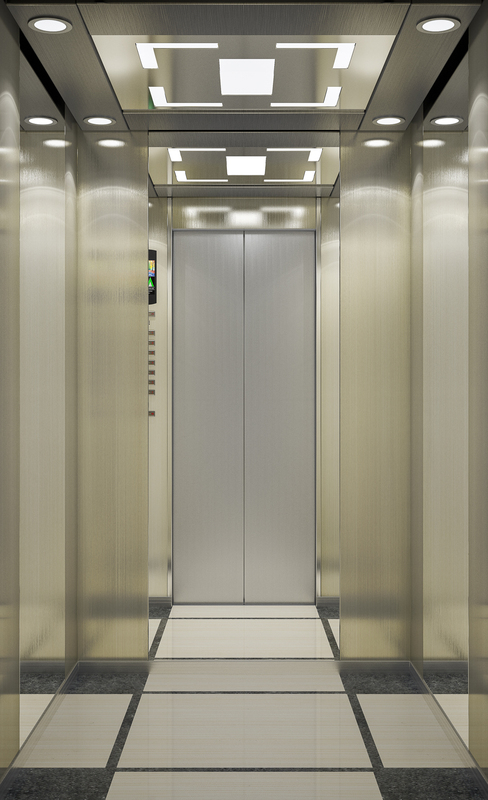 - Slightly lower cost than other types of elevators (because the Variable Voltage Variable Frequency (VVVF) drive). 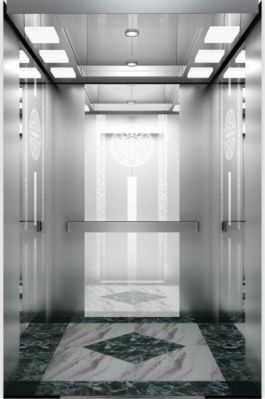 Typically, entrance to elevator machine rooms are located off a public corridor, usually located on a rooftop penthouse of a building or through a mechanical equipment room. if they are located in a room or space containing other machinery (such as the controllers) and equipment essential to the operation of the building, provided that they are separated from the other machinery or equipment by a substantial metal grille enclosure. In an existing building, locating a machine room in such a location is unavoidable, the enclosure are constructed to restrict sound transmission to the adjacent occupied spaces. Traction elevator machine rooms are located directly over the hoist way of the elevator served by that equipment. On bottom drive type, machine rooms are usually located next to the elevator bank or bottom of the shaftway. In older installations where space is at a premium; particularly in high-rise buildings, the machine room is often split over two levels in order to house the traction equipment, motor-generator (MG) sets and the relay controllers. Typically, an upgrade to a solid state controller and variable frequency drive (in place of the M-G set) can free up this space for other uses. Hydraulic elevator machine rooms are almost always located on the ground floor or in the basement, normally close to the elevators.